Trion Worlds announced Defiance 2050, an improved version of the Defiance game released in 2013 on the last generation consoles (and PC). This new version will target current generation consoles (PlayStation 4 and Xbox One as well as PC), bringing the “uncompromised vision” to life, according to the developers. The game will be Free-to-Play when it launches this Summer; you can register for the Closed Beta here, which is reportedly coming soon. Defiance 2050 is a futuristic free to play online shooter set in an extraordinary post-apocalyptic world with advanced alien technology. Fight on your own or alongside friends as you explore and unlock powerful weapons with extensive skill and customization systems. Enjoy a stunning experience with modern graphics on the latest consoles and computer hardware. Will there be character data carried over from original Defiance? To thank the amazing Defiance community for their support, we’ll be offering some cool rewards in the lead up to Defiance 2050. Existing Defiance players will be able to take select rewards with the Valor Program. Players who earned specific unique titles, such as “Old School”, will be able to transfer the title to their new character and show them off in Defiance 2050. Account based upgrades, like character and loadout slots, will be transferable as well. 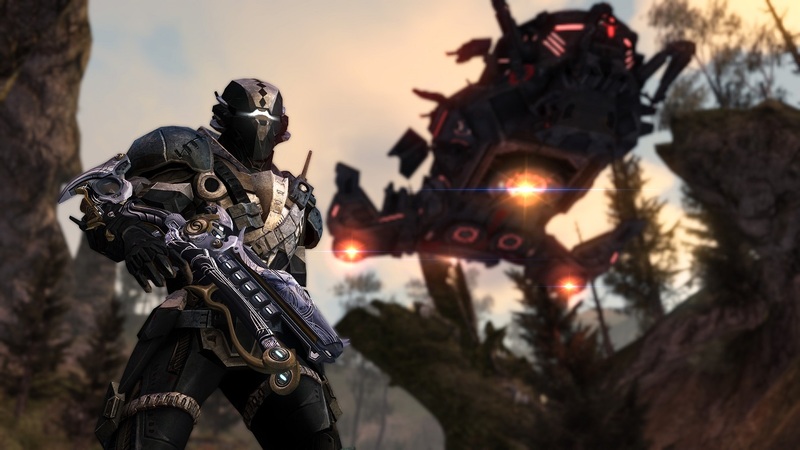 While Defiance players will be able to earn Valor for Defiance 2050, substantial changes in progression, mission structure, and the game’s economy prevent the transferring of characters and items between the original game and Defiance 2050. More details about the Valor Program will be shared soon. Defiance 2050 is the fully uncompromised vision of the Defiance team, offering a wholly reimagined experience with brand new systems, gameplay mechanics, and cutting edge graphics that take advantage of what modern gaming hardware can provide. It has been built as a complete free to play experience, and everything from the mission structure and weapons systems to character progression and purchasables has been updated and modernized, resulting in the definitive Defiance experience.